I think I need a new category in my store for the “Kinda Cool, Kinda Weird, Kinda Fun” (or KCKWKF) stuff. 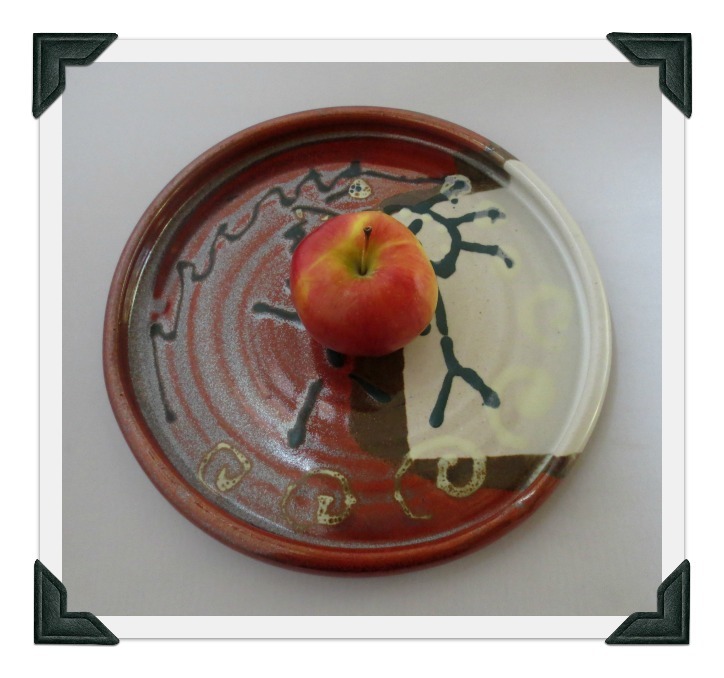 After finding (and buying) the ugly KCKWKF ceramic bird last week, I found a bunch of hand made ceramic plates that had been put out on the shelves the day before. 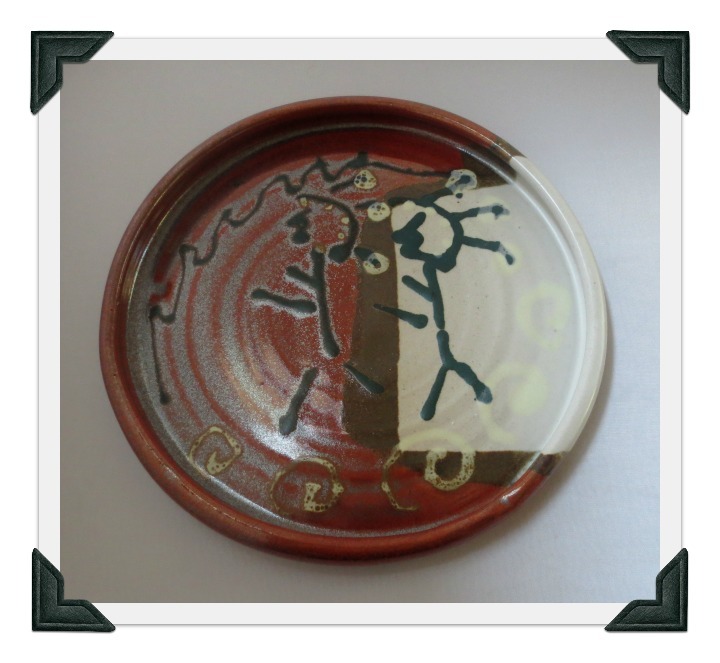 They were hand thrown, signed and dated (Chetman ’95), but the decorative elements on the front look like they were drawn by a 4 year old! Ha, maybe they were. So KCKWKF! But would anyone really want SIX of these plates? Gosh, would anyone want ONE?? I don’t know but I bought all of them! When my husband saw them at our house, he looked at me and gave me a sad little head shake. That’s the head shake I got when he thinks my judgment on something is…let’s say…a tad askew. I could return them (they’ll be a bear to ship), but I realized I don’t want to return them. I rather like the naive, whimsical quality to these. But they are darn heavy (over 2 pounds each), have a bit of a lip and probably should be hand washed. 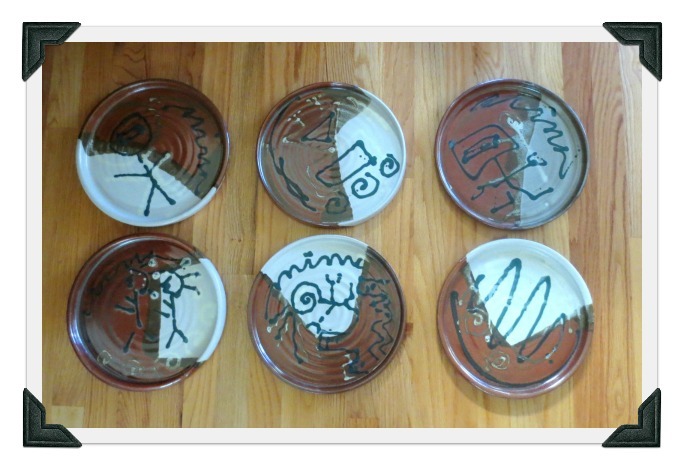 Oh jeez…would anybody in their right mind use these as dinner plates? But wait, hold the phone…what about using them as serving trays? Wouldn’t these be great at a party for cheese and crackers or appetizers or cookies? So KCKWKF! Maybe nothing Martha would use, but that’s okay. Well, time will tell if my husband’s little head shake was warranted! I plan on selling them individually. Will keep you posted if I sell any! cannot wait to see them in your store.